Looking for a Used LR3 in your area? CarGurus has 247 nationwide LR3 listings starting at $3,888. 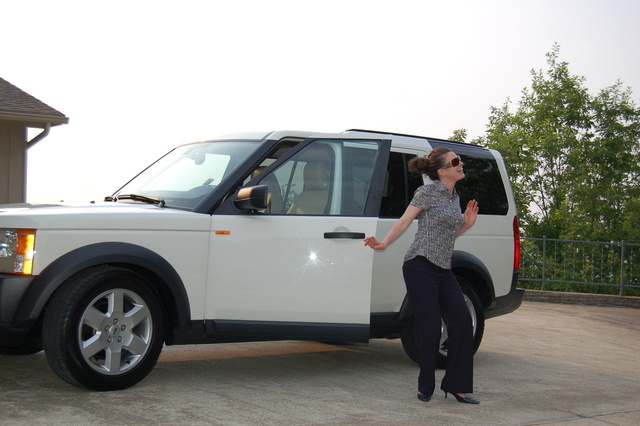 The Land Rover LR3, formerly the Discovery has been completely overhauled for the 2005 model year. The Discovery replacement gets a new platform, built and in part by Land Rover's parent company, Ford. Fellow British marque Jaguar, also a subsidiary of Ford, has provided a powerful new V8 engine. 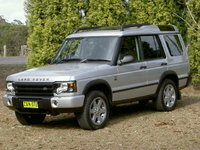 The Discovery was in production from 1994 and 2004, and it quickly became Land Rover's best selling model. The LR3 can be differentiated from its predecessor by several attributes. The new model is14 inches longer in wheelbase, 5.7 inches longer overall, and nearly half a ton heavier. The extra size allows for 27 additional cubic feet of cargo space, without compromising passenger space. New safety features include front torso and head-protecting curtain side airbags and rear curtain airbags. The LR3 retains the Discovery's basic shape, marked by the raised roof line in the rear. The LR3 also gets a significant power boost, thanks to a new Jaguar engine. This power plant, found under the hood of the HSE trim, is a 4.4 liter V8, which generates 300 horsepower and 315 pound-feet of torque. This is an increase of 83 horses over that of the 2004 Discovery. This engine is paired with a six-speed automatic transmission featuring a manual shift gate. A base model is powered by a smaller V6 with power numbers comparable to the the previous Discovery. The V8 HSE will tow 7700 pounds. The SE trim is available with the V6 or the V8, while the top shelf HSE is V8 only. Both trims are equipped with leather upholstery, fold-flat rear seats, dual-zone automatic climate control, a nine-speaker 240-watt Harman Kardon audio system with a six-disc CD changer, 18-inch alloy wheels and all-wheel drive. HSE upgrades include 19-inch alloy wheels, a 14-speaker 550-watt Logic 7 digital surround sound system, a navigation system and rear parking sensors. HSE models will seat seven thanks to an optional third-row fold-flat seat. The LR3 has been praised by both owners and reviewers for Land Rover's advanced suspension, which allows for a well-cushioned cruise on the road , or a stable and controlled adventure on the trail. The LR3's luxurious and well-appointed interior is also quite functional. The spacious rear quarters allow for ample storage, thanks to flat-folding second and third row seats. The cabin also includes several strategically placed stowaway compartments. Reviewers agree that the new LR3 is the class leader in the mid-size luxury SUV segment. Pitfalls include a very high curb weight, at 5700 pounds, which hinders on road performance slightly. Fuel economy is what one might expect for a near three ton, not-so-aerodynamic, V8-powered SUV: very low. Also, some of the controls are difficult to manage on the go. Competitors include the Acura MDX, Cadillac SRX, Lexus RX, and the Volvo XC90. What's your take on the 2005 Land Rover LR3? gymwear5 116K miles and its been a winner for us, 2005 HSE purchased used with 15Kmiles in 2006. Greg Overall, a decent car. But, it is a gas guzzler averaging 12.5/mpg. But, with a V8 it has a lot of power and speed behind it. Drives real well off road, in the snow, and on the ice. It's the little things that annoyed me. Door molding coming off. Spare tire crank breaking. Cheap plastic interior parts malfunctioning. Wiper fluid basin leaking open. Dashboard cracking. And, to top it off, just feeling flimsy and loose on the road. Not a good drive. Personally, I'm done with Land Rovers, 3specially the LR3 series. 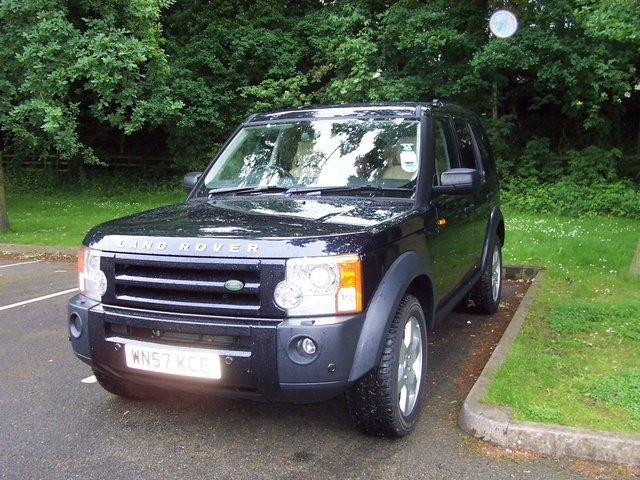 Have you driven a 2005 Land Rover LR3? I was turning the other day and it felt like my brakes worked on there own.any reason why it did this 2 times now. 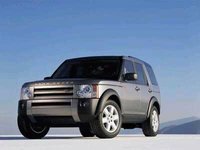 Is the 2005 Land Rover LR3 SE black, with 197,000 miles priced at $2,500 offered by a private seller David,still available? While driving, my speedometer just quit working. Hi everyone, My LR3 has suddenly shut down and could not start the engine. I've changed the fuel filter, now it starts but goes off when not accelerated. Can someone help with it?